When I went to Milan to attend Salone Del Mobile with C.P Hart Bathrooms last year, I was blown away by the sheer scale and size of it. 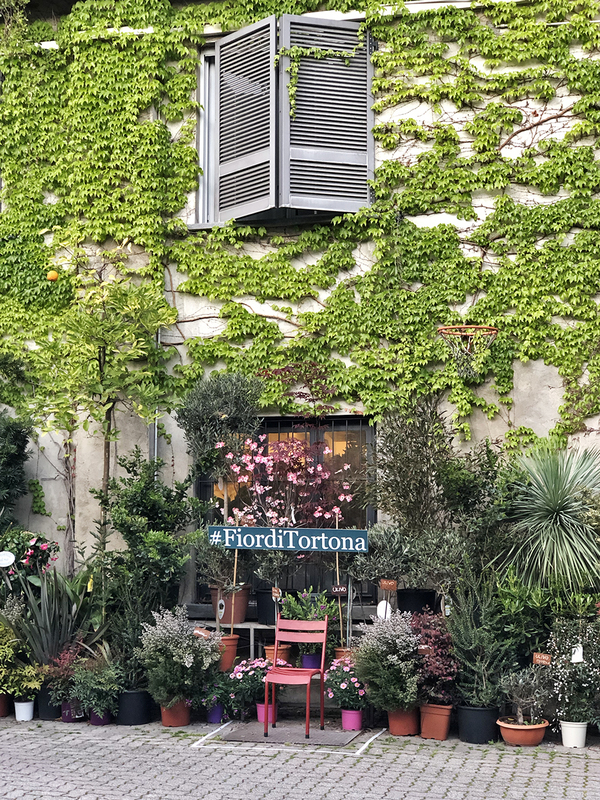 And then I started exploring Fuorisalone - the events that take place around Milan on the same week as Salone Del Mobile, and OH MY GOD... I was utterly inspired and vowed to go back the following year. The official event count this year was 1351 across eight design districts and I imagine there are many more unofficial ones too. It's overwhelmingly huge, and spread over the city in several different areas, so it's advisable to have a plan if you have specific things you want to see. Equally if you're not into planning, just hit a different design district or two each day and wander and you'll stumble upon things, also see if anything that grabs your attention on instagram and add it to your list! Most of it is entirely walkable (if you're a keen walker!) or easily doable on the metro. I think there are a couple of myths surrounding MDW and I thought it might be helpful to wade in on that. No it's not. Although there are many press only and invitation only events and parties, almost all exhibitions are open to the public for most of the week after the initial press only previews, and are free to get into. You don't have to be in the industry and you don't have to have any credentials - you can just be an interested anyone. It's not scary - promise! The exception to that was the Versace installation (perhaps unsurprisingly!) which we had to blag our way into. They're big on business cards generally, which seems ridiculous as you and I know they literally mean nothing, but would actually be really helpful. Note to self to make sure I have some made before next year because they would have come in handy. And yes, it will probably take me all year to get around to it. Myth Two: It's obscenely expensive. It doesn't have to be. Of course if you choose to stay at a beautiful hotel it will be, and the tales are true about huge price hikes for accommodation during design week, but honestly, you don't need the glamorous hotel if like me you're just going to sleep there each night for a few hours before getting up and pounding the pavements again. Do some research and book your hotel early or get a group together and book an Airbnb well in advance. I think those are the two main myths. It's not expensive to eat and drink there either - depending on where you go of course, and it can absolutely be done on a tight budget. Flights are also pretty cheap if you're happy to fly with not-so-easyJet. So don't let the myths get in the way of going and soaking up all that incredible inspiration next year! Because if you're a design lover, you too will return with a head full of inspiration, a camera / phone bursting with beautiful images, probably a blister or three on your weary feet, achy legs and possibly in need of an alcohol detox. Or is that just me? Right, let's get down to the details. I thought that rather than writing a trend report, that I'd break it down into a daily diary of what I did, what I loved, tips and hacks, and of course lots of trend alerts too. There will be an instalment every day this week - one for every day I was there. I was invited to go to Milan a day earlier than I'd originally planned with the Ikea press team to attend the launch of their SYMFONISK collaboration with Sonos, rather handily alongside my friend Lisa Dawson, so I gate-crashed her hotel at Gatwick the night before to save myself from having to get up horrifically early for our 9am flight to Malpensa. Despite best laid plans, delays meant we ended up dropping our bags at the hotel and heading straight to the event location in the Tortona area and it didn't disappoint! Following really interesting talks about sound and light by leading sound consultant Martin Hallberg, Chronobiologist Anna Wirz-Justice, Bjorn Block (Business and Development Leader, Ikea Home Smart, Ikea) Tad Toulis (Vice President of Design, Sonos) the new designs were officially launched. There had already been press images circulating of the book-shelf speaker, but it was the first time the table lamp with speaker was allowed to be shown publicly. Rumour has it that these two products that so cleverly integrate sound into home furnishings, will not be the last from this partnership. It's such an exciting collaboration - the book-shelf speakers which will retail for £99 when they hit the stores in August will work brilliantly in so many rooms including (I think!) kids rooms. 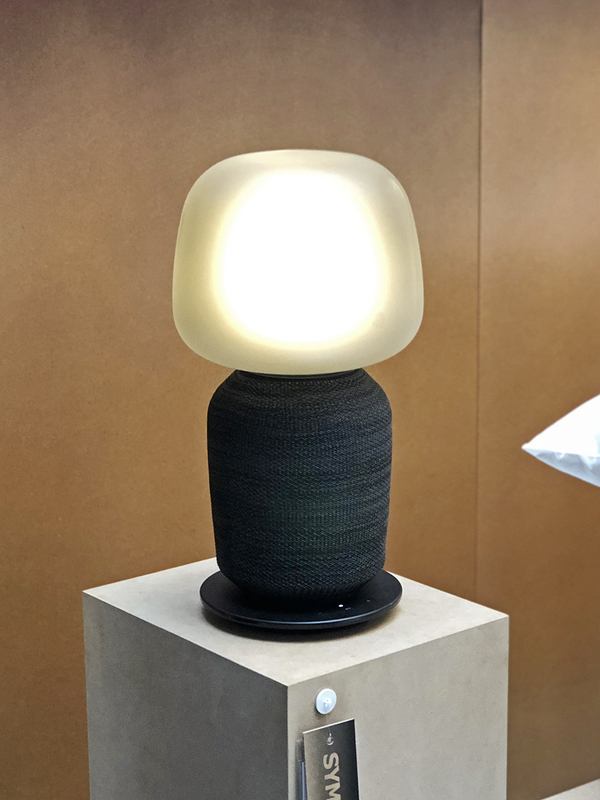 The table lamp speakers would be amazing bedside lamps for grown-ups (or very lucky kids), and will retail for £179. After the Ikea launch excitement it was time for a stroll around Tortona to look at some other installations. 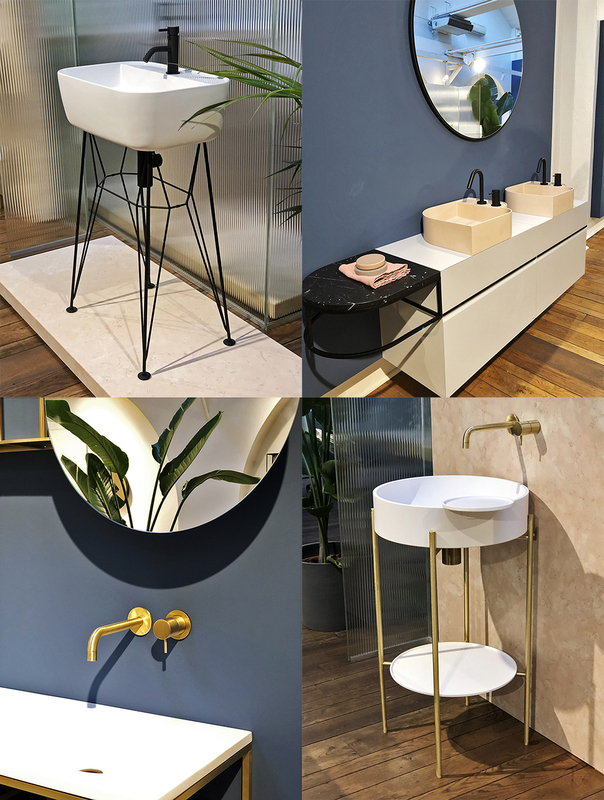 First stop was ex.t to drool over some beautiful matt black and brass bathroom taps, and matt ceramics in soft fleshy nudes and whites. 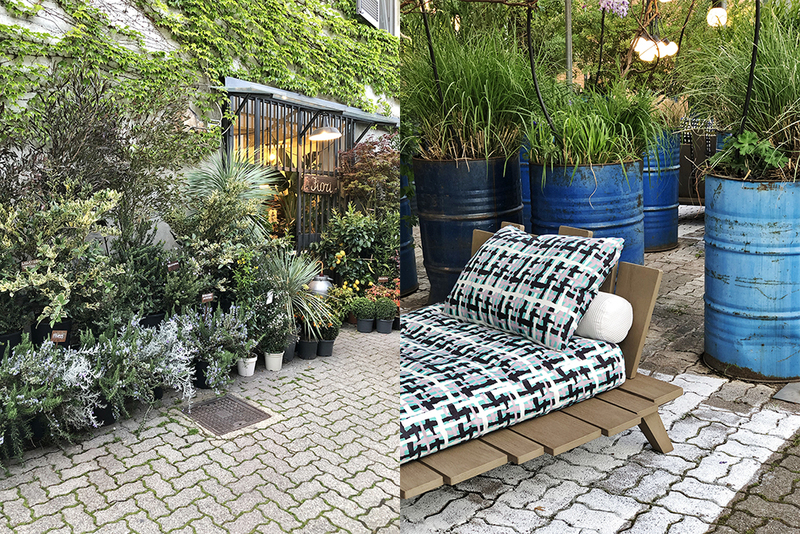 Wandering is often the best way of seeing some fab but unplanned spots and we stumbled upon an area of exhibits which included this lovely space showcasing the new Rafael outdoor furniture collection for Ethimo designed by Paola Navone, a gorgeous plant and flower shop, and as you can always expect in Milan, some stunning lighting. The Mario Tsai installation was brilliant with huge pieces including the 'Mazha' light, and right next door The Mumoon installation featured lighting by various designers including the Cosmonaut lamps by Dos Signorotto Design (LOVE! 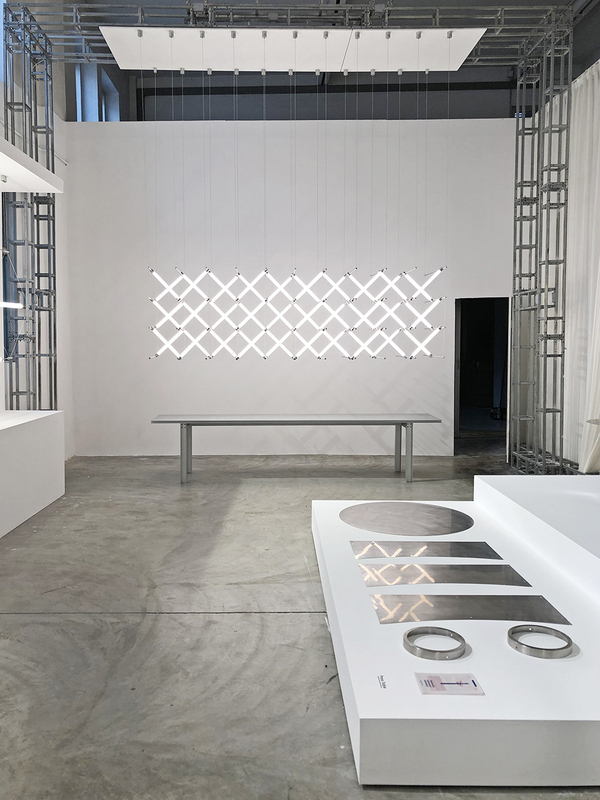 ), and the Hold modular lighting system, also by Mario Tsai. 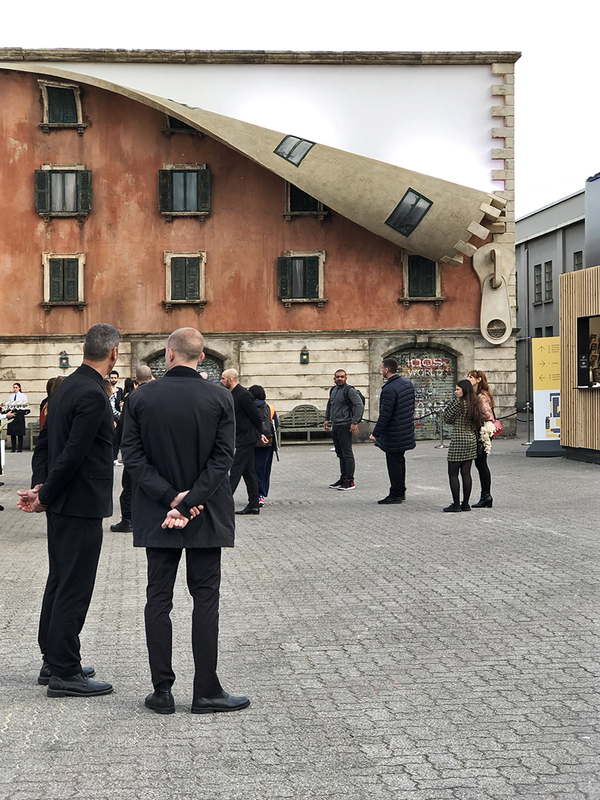 British Sculptor Alex Chinneck's unzipped building facade was an incredible sight when walking into the Opificio 31 exhibition area. 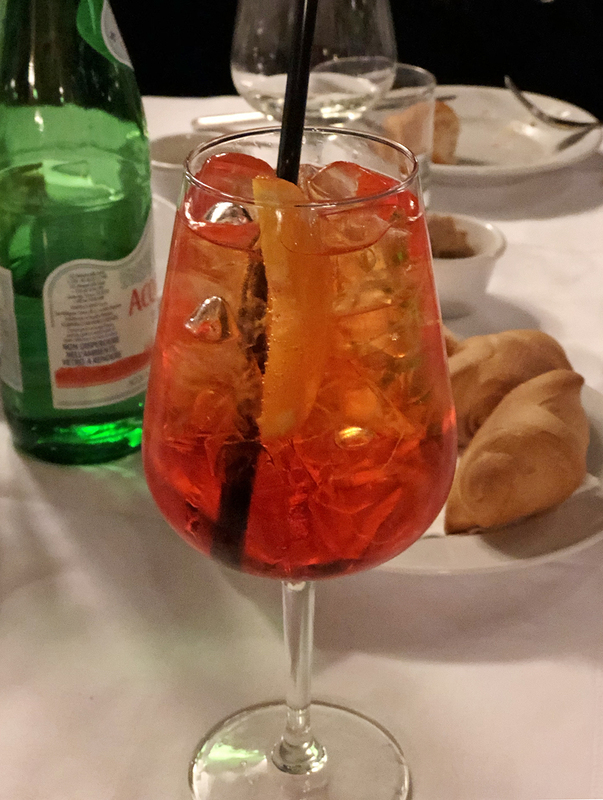 Then it was well and truly time for a spritz and food at Osteria Del Binari - beautiful traditional interiors and food to match. I *may* have had to be rolled home after eating more than my fair share of antipasti, Milanese Risotto and Osso Bucco. You can fly into Malpensa or Linate. Linate is closer to the city centre. Since this is my diary rather than a complete Milan travel guide I'm focussing on my experience, so this information is based on flying into Malpensa which is what I've done both years. Airport Transfers: You can get a coach or train into central Milan. The coach is around €14 for a return ticket and takes less than an hour and they run pretty regularly. The express train is €20 return and takes 52 minutes. Both will take you to Milano Centrale which is then either a walk or metro ride to pretty much all destinations. Taxis are much more pricey - currently a fixed price of €95. Left Luggage: If you think you'll need to use the left luggage on your last day (believe me, you do NOT want to be carting your bags around all day and in and out of exhibitions) don't use the one at the station that has crazy queues, but you can pre-book this one which is a few minutes walk away to avoid the massive queues at the station itself and to avoid missing out. It's currently €2.49 for an hour and €10.49 for four. Make sure you use an email address you can access as I didn't get a text message as promised and you need the code to open your locker again. It's all automated and un-manned (though there is an emergency button to communicate with them). The lockers are quite big - a small one fits 2 cabin sized suit cases and a large one will fit four. Metro: The metro is easy to use, efficient and cheap! It's €4.50 for 24 hours or €8.50 for a three day ticket. You can use that ticket everywhere on the Metro, but if you're going out to Rho Fiera (the location of Salone Del Mobile) you will need to purchase a separate ticket. 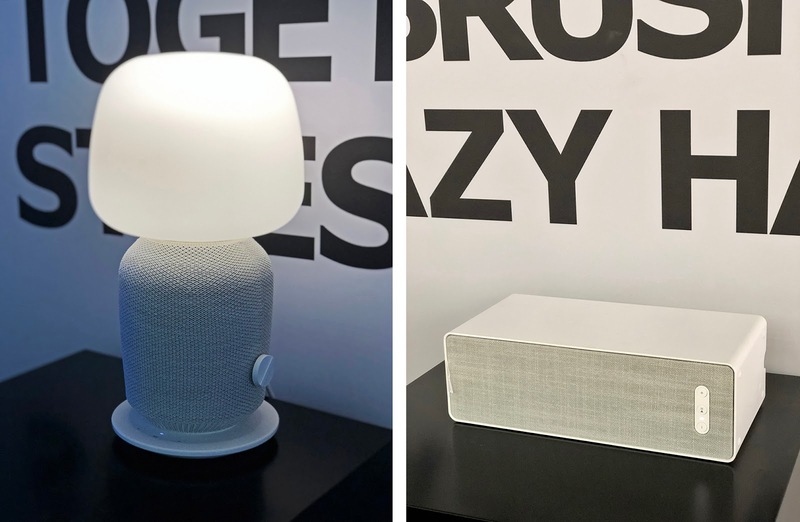 Disclaimer: This is not a sponsored post - I was under no obligation to write about for Ikea x Sonos, though I was hosted by them during my first day and a half. All images are copyright Bianca Hall except where noted. Please be a good human and make sure you credit and link / tag me if you use them. Come back tomorrow for my Day Two diary instalment!